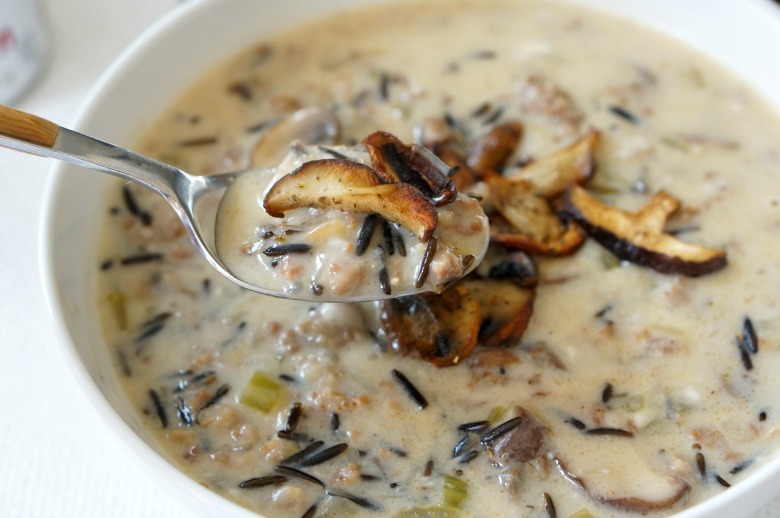 Mushroom and Wild Rice Soup is the perfect hearty dish to serve this holiday season to warm you inside and out. Stock up on ingredients for the recipe and other holiday favorites at your local Sam’s Club! 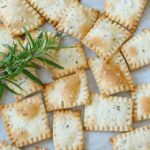 I really can’t believe I haven’t shared this recipe with y’all! 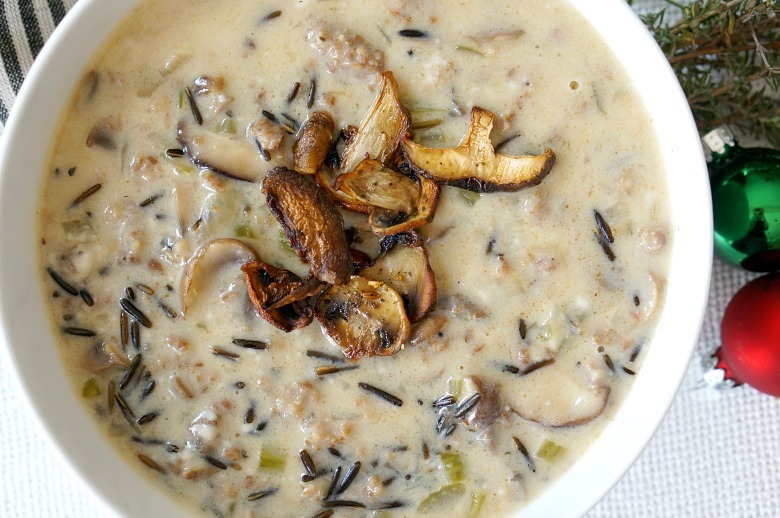 This Mushroom and Wild Rice Soup has been a family favorite for at least 30 years. I remember the first time my mother made it. We had new neighbors, and they were “foodies.” Something that wasn’t as popular in the 80’s as it is now. They were coming for dinner, so my mother searched for appropriately elegant food to serve. I think it was the wild rice that elevated this dish in her mind. Although by today’s standards, it might not be super fancy, it still is absolutely delicious. 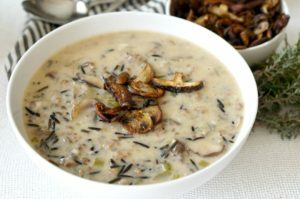 And, this Mushroom and Wild Rice Soup is the perfect comfort food dish to serve this holiday season. 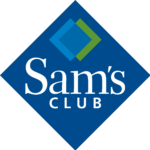 Hover over the image below to purchase the products necessary on SamsClub.com. 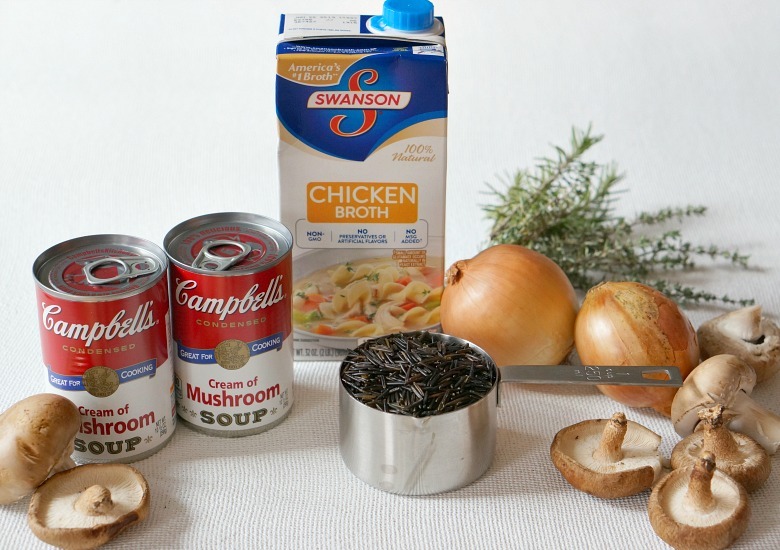 Campbell’s® Condensed Cream of Mushroom Soup and Swanson® Chicken Broth? Well, they’re both still there. 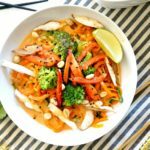 Swanson® Chicken Broth, which come in resealable packages is 100% Natural and offers the balanced flavor perfect for the base of this recipe. 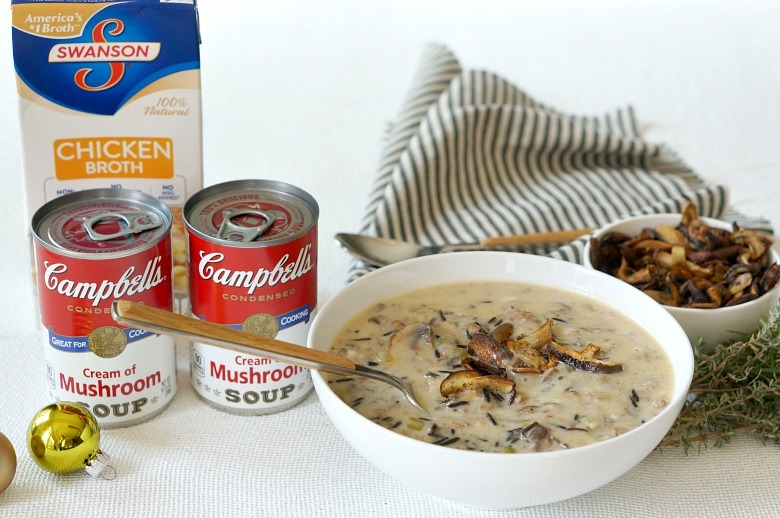 Campbell’s® Condensed Cream of Mushroom Soup, which has no artificial flavors, colors or preservatives, has been left in this recipe as well. It sooo reminds me of my favorite home-cooking recipes of my childhood. In a large dutch oven, brown the sausage. Once cooked through, add 1 lb. of the sliced mushrooms, onions, and celery. 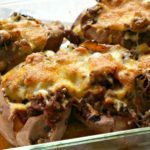 Cook until softened and greatly reduced in size, about 5-8 minutes. 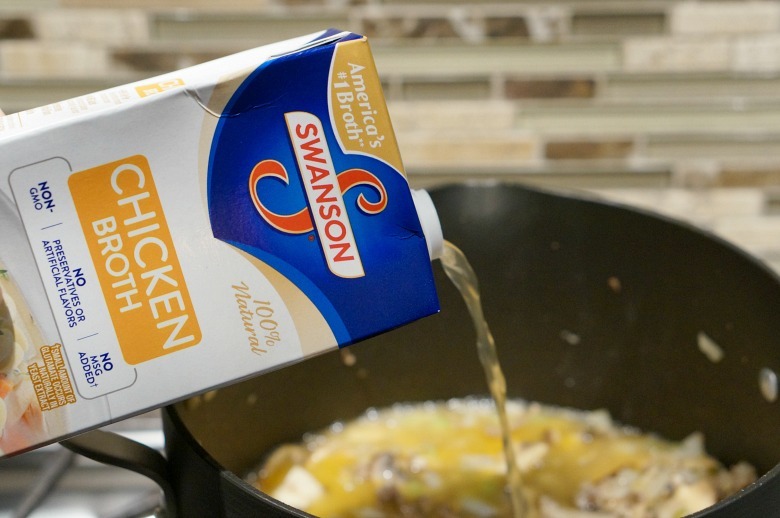 Add in the wild rice and pour in the Swanson® Chicken Broth. Bring to a boil, then reduce heat to a low simmer. Cook covered for 30 minutes. Add in the Campbell’s® Condensed Cream of Mushroom Soups and stir. Cover again, and cook for an additional 30 minutes, or until simmer. During the last 30 minutes of cooking, preheat the oven to 425 degrees Fahrenheit. 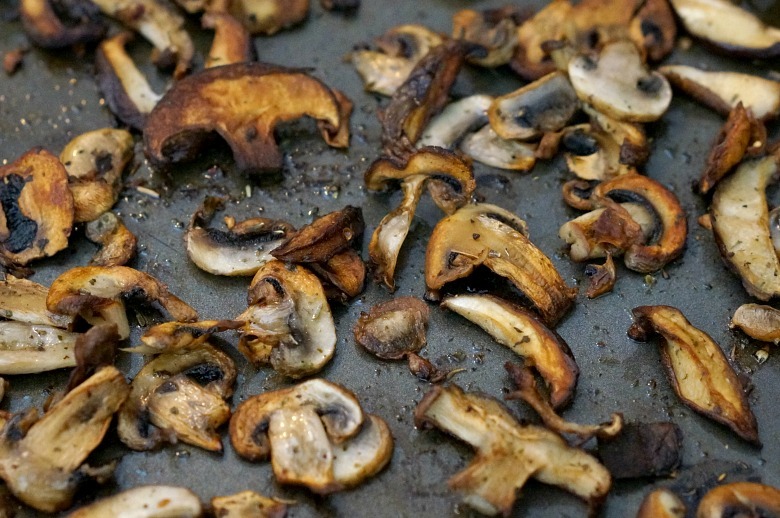 Add remaining pound of sliced mushrooms to a rimmed baking pan. Add pats of butter, salt and seasoning to the mushrooms. Bake 20-25 minutes, stirring occasionally, until golden and fragrant. Serve the soup, garnished with the brown butter mushroom chips. Enjoy and happy holidays! 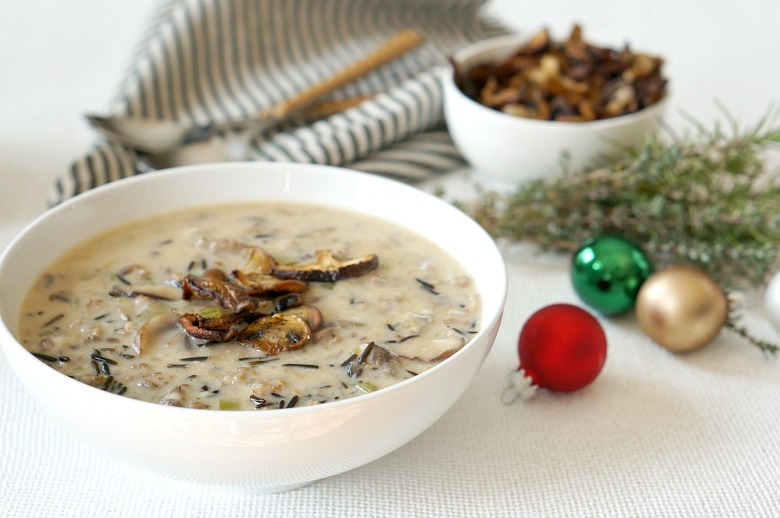 Mushroom and Wild Rice Soup is the hearty dish to serve this holiday season to warm your soul. Buttered mushroom chips and sage sausage elevate this soup. Add in the wild rice and pour in the Swanson® Chicken Broth. Bring to a boil, then reduce heat to a low simmer. Cook covered for 30 minutes. Add in the Campbell's® Condensed Cream of Mushroom Soups and stir. Cover again, and cook for an additional 30 minutes, or until simmer. 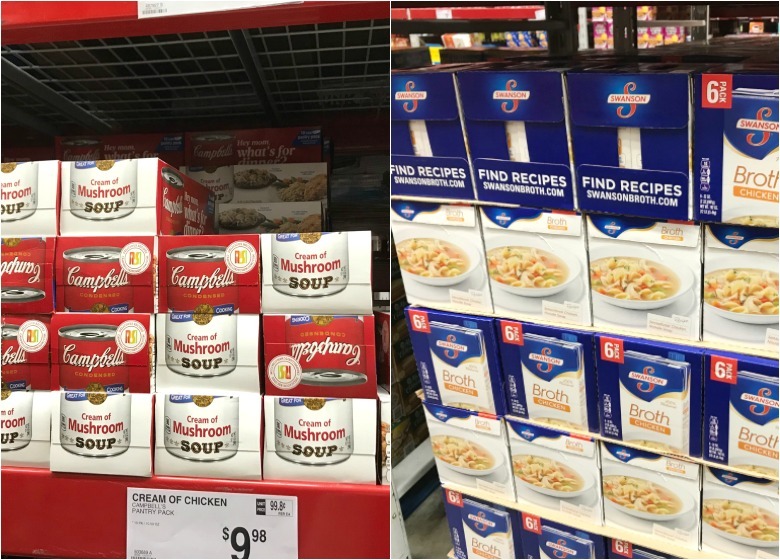 Sam’s Club has the pantry packs you need of Campbell’s® Condensed Cream of Chicken Soup, Campbell’s® Condensed Cream of Mushroom Soup, and Swanson® Chicken Broth to get you through the holidays. 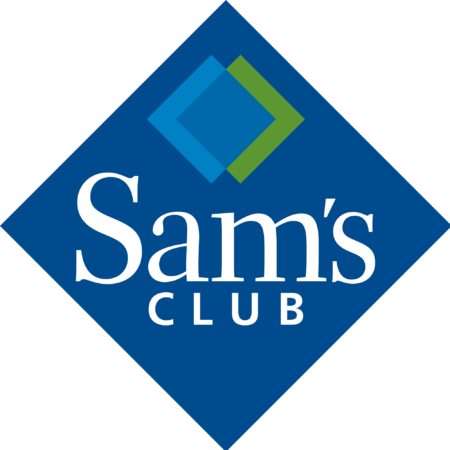 While shopping at Sam’s Club this holiday season, don’t miss their annual Holiday Taste of Sam’s event, a huge in-club demo sampling occasion. 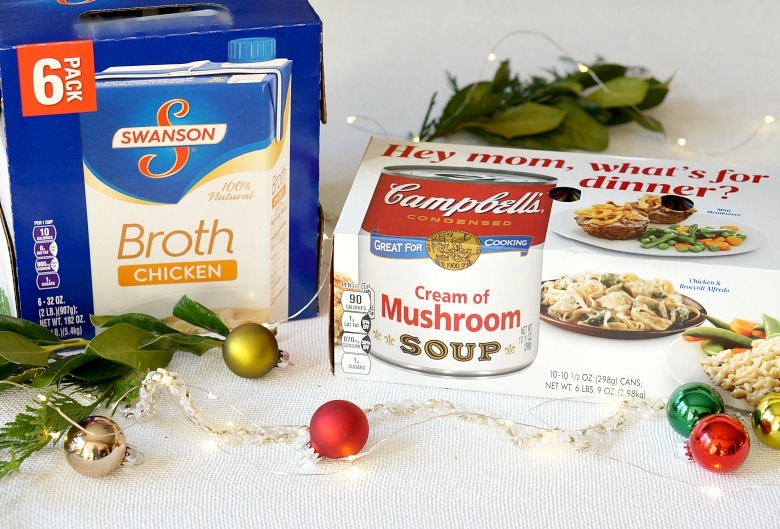 Swanson® Chicken Broth will be sampled with Idahoan Mashed Potatoes on Dec 21 & 22. During the event, enjoy a temporary price reduction of $1.50 off Campbell’s® Condensed Cream of Chicken Soup, and Campbell’s® Condensed Cream of Mushroom Soup. This year, my family is collecting food supplies for the Second Harvest Food Bank, and we plan to stock up by buying in bulk at Sam’s Club and take the surplus there before Christmas! Need some more holiday recipe inspiration? Try our Extra Cream Four Cheese Macaroni for a hearty casserole dinner. Serve it up with these Browned Butter Green Beans for a great seasonal dish! 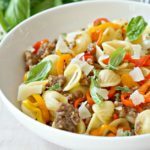 And, be sure to click here for more great recipes inspired by Campbell’s® Condensed Cream Soups and Swanson® Chicken Broth!